...All in all it's just another brick in the wall." Congratulations to Torre, Aspen's new mayor! In early April, Torre defeated Ann Mullins in a run-off election, 1527-1184, a 56-44% margin. For the first time in recent memory, Aspen will have a new mayor and two new council members when the new council is sworn in on June 10. Opportunities abound. The sitting lame-duck council has officially been replaced by candidates who ran on platforms of shaking up the status quo, implementing far better and transparent communication and outreach, and changing the culture of city hall. Let's do it! This is also good news for The Red Ant's press for changes to the new city office building. During the recent run-off campaign, Torre issued the following statement in response to the growing outcry over the lack of public process for the design of building, "I support a review and changes to the final design and programming of the new city office building. The current iterations have unclear space/program allocations, do not appear to address community goals, and provide the city of Aspen employee generation and growth without mitigating for those impacts. I support new office space being built at the Rio Grande location. However, I share the concerns I have heard from others, that the current design is not as efficient inclusionary and complete as it should be. This municipal building is a chance to exemplify our current values and aspirations. As such, it deserves careful attention." Bravo, Torre. Finally, some vision! Enter Torre. He is a disruptor. And he is also the new mayor. The Red Ant plans to support him in shaking things up. Aspen's government is well-known for accepting and advocating for mediocrity. It would be so much easier for The Red Ant to be an advocate FOR great things, but the city simply doesn't do great things. If Torre can bring great things forward (like giving this ill-conceived and uninspiring project another look before starting construction, for starters), then I am all-in as an advocate. Thank you in advance, Torre. I agree that it's far better to pump the brakes now than to own this mess and have to clean it up later. Taking a page from the thaw in Sino-American relations in the 1970s (think Nixon's Ping-pong diplomacy), several of Aspen's community leaders, including former mayor Bill Stirling, Harry Teague and Howie Mallory recently convinced council to discuss their ideas for the new building, which focused specifically on landscaping issues and future collaboration with the parks department on external components (as opposed to the building's design itself). Council bought in to the necessary "river-to-mountain" connection, yet only gave permission for changes to landscaping aspects of the project, in collaboration with the parks department. The Red Ant absolutely agrees that landscaping decisions can contribute positively to the building as it relates to connecting town to Rio Grande Park. Absolutely. A lively and beautifully landscaped Galena Plaza will be fantastic. However, respectfully, landscaping is only a band-aid for the grievous wound: the uninspiring and ill-conceived building itself. My guess is that the parks department won't want to spare too much of its budget putting lipstick on this pig. Sure, tulip diplomacy is a great first step. We know from history that such inroads can lead to great change. But a few additional daffodils along the Jail Trail are not going to diminish the "wall" that the building itself creates. Notably, however, tulip diplomacy begins to address one of many aspects of the new building that are glaringly lacking. Thank you, gentlemen, for your leadership, your vision and your very diplomatic work getting council to slow down, focus and hear you out. I am very hopeful that your input will positively impact future landscaping decisions. Housing: It's appalling for the city to give themselves "credits" for housing built in the 1990s to avoid mitigating for housing now! Building Height: 47' is way too high and serves to visually finish off the "city wall" that will forever block town from Rio Grande Park and beyond, especially when the entire top floor is earmarked for 7200sf of unnecessary meeting space! Programming: To date, the design is still incomplete on what's being built inside, aside from the absurd amount of meeting space. Energy efficiency: Shouldn't this building be a showcase for the world's most cutting-edge technology? Transportation: Imagine soon-to-be-ex-mayor Steve Skadron, he of Aspen's war on cars and feckless mobility lab experiments, defining his legacy with zero transportation improvements!? Imagine if we'd actually had a public process and not Barry Crook's sorry excuse for "outreach" when, in show-and-tell fashion, he placed foam-mounted sketches on easels and told people what the city was doing? If citizens had been given the opportunity to weigh in, think of how the new building would be a net zero showpiece, with visionary parking and transportation solutions, proper subsidized housing mitigation in line with what the city requires of all developers, appropriate programming where what is built is a true reflection of what is actually needed, and the building itself would actually adhere to the city's own building code. But no. Now that Torre has been elected, however, A LOT is still possible. Tulip diplomacy has cracked open the door for the community to additionally weigh in on other aspects of the project. Ward has indicated that he wants "story poles" erected to visually convey the new building on the actual site, now that demolition work is nearly complete. This is yet another positive step. But lame-duck councilman Adam Frisch is fighting this. Hmmm, another typical decision by the sitting council that flies in the face of transparency. Adam tells The Red Ant that if the public sees the story poles now ("after the fact" as he puts it), they will immediately be shocked at the bulk, mass and height. Of course they will. It's one big, ugly, dense box. And it's hardly "after the fact" when the plans are not yet complete, so this is EXACTLY the time to erect story poles! It's curious to see Adam fight this so vehemently. But he did acquiesce, "If the new council plans to open up that discussion (on bulk, mass and height), they can." Of course they can. I just hope they will. And notably, after the passage the emergency moratorium of 2017 (reducing building heights to two stories or 28 feet) which excluded properties owned by the city, Adam justified this stating, "The city can be relied upon to restrict itself." Right. 2. Mitigate properly for housing. What's good for the goose is good for the gander. No more double standards! The city should NOT play by a different set of rules than other developers and should certainly pay its own way for housing mitigation. The city should set an example. How about 100% mitigation? Show some leadership! It is stunning how councils (past and present) continually bemoan the lack of and need for more subsidized housing and in the same breath approve a building that skirts new housing mitigation? Even more appalling is that the city says that housing they built in the 1990s paid it forward, and those units are suddenly now "credits" toward housing mitigation for this 2020 construction. Seriously. You can't make it up. Do we have a housing shortage or not, people? Properly addressing the housing mitigation for this building wouldn't change a thing with the building itself, but it would be one giant step toward doing right for the community. It is never too late to pause a bad project and re-group, especially when the bad project has yet to begin construction. Let's get story poles up post haste. The public (who is incidentally financing this thing) has a right to see what the city is planning. Yes, there will be financial repercussions if we push the pause button, but to accept mediocrity simply because the project is already in the pipeline is not strong leadership. And accepting mediocrity is not the Aspen way. Tulips are just the beginning. 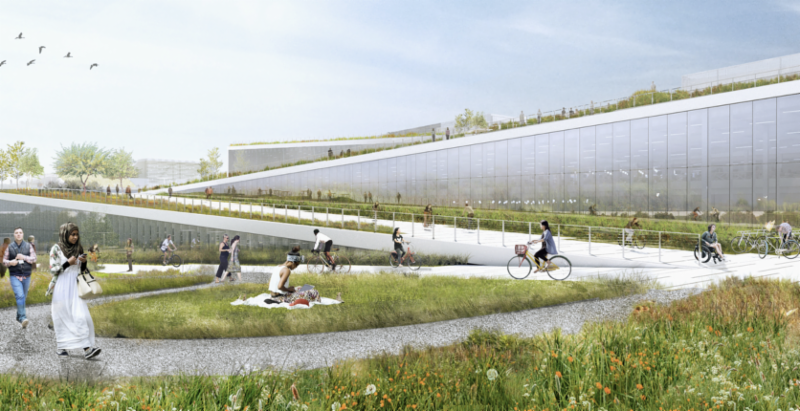 They're a great component, but not likely to be appreciated by future generations to the degree that an inspiring, efficient and notable building that connects the urban core to Rio Grande Park will be. If that is simply a bridge too far (and I pray it's not), at the very least, we can easily reduce the building by 7200 unneeded square feet (by losing the top floor) and properly mitigate for housing. Let's not be pansies now. If you agree that Aspen can do SO MUCH BETTER, join us! Let's work together to build the best building we can. Check out Paul Menter's recent Aspen Daily News column on the subject HERE. "The alternative to good design is always bad design. There is no such thing as no design." The long and short is that Galena Plaza is indeed where our new city hall will be built. Ok, fine. 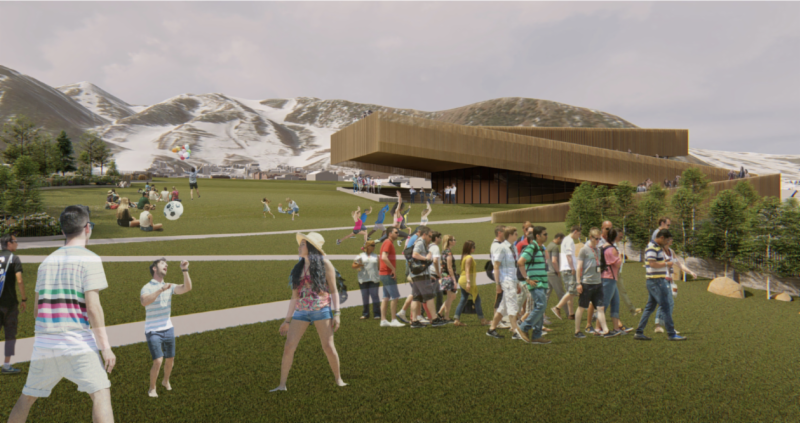 But its preliminary design, and how this building functions as the seat of our local government and as a civic space we can be proud of, is FAR from its potential, and hardly what befits Aspen. This ugly wall of a building is intended as Aspen's new 21st Century city hall. Yep, it looks like a cheap imitation of a commercial facade at Willits in the mid-valley. And, as planned, it will effectively close off pedestrian access from town, aside from via that meager staircase. It's nothing more than a wall that screams "stay away" and exacerbates the building's already "off the beaten track" location. And while no one is questioning the location of this building any longer, it is worth noting that the 2006 Civic Master Plan presented clear consensus that Galena Plaza was a failed public space. The subsequent idea to add a meeting room to the library in order to increase vitality failed miserably. The planned city offices are currently programmed with 7200 more square feet of meeting space (the entire top floor), plus office space on the ground floor, and a jail. Lovely. Why all this new "meeting space" when there are already many meeting rooms nearby at the library and new police station? No one at the city can explain where the purported "meeting space crunch" comes from. It's obviously just a ploy by city staff to build extra space to accommodate future growth. According to city asset managers Scott Miller and Jeff Pendarvis, they want THIER OWN meeting space, besides, the extra space can always be used as "an employee cafeteria." Seriously. What's proposed is hardly a great "people place." Hardly a center for community vitality. And hardly what Aspen is all about. But it doesn't have to be this way! A great deal of change is coming to "the riverfront district" north of Main Street in the coming decade. The SCI zone on N. Mill Street is facing a major redevelopment, Clark's and the Post Office are likely to be redeveloped or at the very least, upgraded, the Old Power House will be somehow repurposed, Theater Aspen is exploring a permanent structure, and the Recycling Center is likely to go away. This is "the last frontier" of Aspen's downtown. 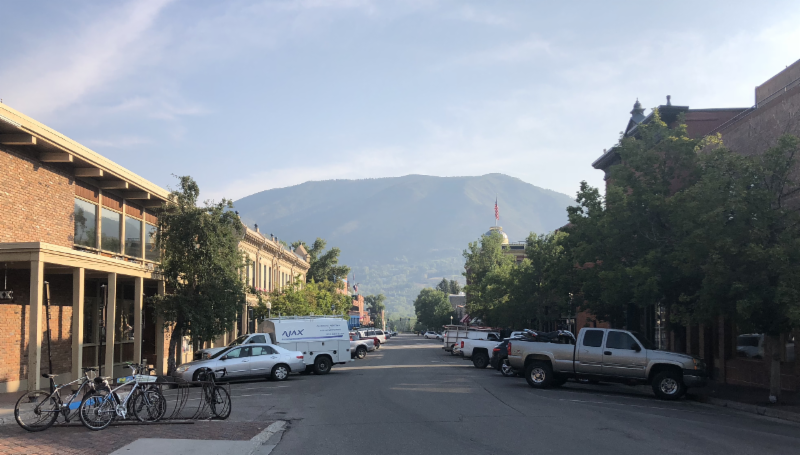 With this district soon to become a more modern and cohesive part of downtown Aspen, it is critical to do everything we can to integrate it with our existing commercial core. Mill Street, northbound, is not a very pedestrian-friendly route, but alternatively, there is a strong linear spine straight down Galena Street with a visual sightline connection from Paradise Bakery straight down to Rio Grande Park. It is critical that we keep this vital artery open (visually as well as access-wise) as we seek to link the core to the park, the river and the gateway to our trails system. At that very nexus will be our new city hall. This is our chance to make this building something functional yet visionary, in line with Aspen's values. From Paradise Bakery (Cooper and Galena), it's an 8-minute walk to the riverfront, with the largest grade change between Galena Plaza and Rio Grande Park. This is EXACTLY the location of the new city hall. Here's the spot, here's the opportunity. And the responsibility. This location, while currently off the beaten track, doesn't have to remain "out of the way." In fact, historically, the area around Rio Grande Park was once a hub of activity, beginning with the Denver and Rio Grande Railroad yard that served Aspen's mining industry. Then, through the first part of the 20th Century, there was a lead and zinc concentrator and the local dump along the riverfront. Later, when the passenger train stopped service in 1949 followed by the end of freight service 20 years after that, in the 1970s the rail yard was replaced with a parking lot. By the mid-70s, residential development across the river was underway with the Hunter Creek condos and the Smuggler trailer park. During this time, there was a farmer's market in the parking lot, but it was still a light-industrial back-water; hardly a destination for Aspen's tourists. By 1980, however, Clark's Market and the Post Office were developed, drawing commerce and vitality to an area where increasing numbers of Aspen residents were living. Galena Plaza, however, remained mostly empty. The turning point was in 1989 when the area underwent a major transformation. A group of volunteers organized to create the Aspen Community Art Park, which was the beginning of Aspen Theater in the Park. Galena Plaza was developed into the parking garage, ACRA offices and the Pitkin County Library. This is when the area truly changed from its roots serving the mining industry to being valued for arts, culture and a riverfront park; reflective of how Aspen's economy had changed from its mining roots to a year-round resort community. By 2012, the entire area had filled in with Obermeyer Place, the John Denver Sanctuary, the stormwater wetlands project, the Recycling Center and the skate park. 2018 brought a new police station and an addition to the Pitkin County offices. Each of these "additions" was built in a vacuum, with little to no thought about integration with town on one side (across Main Street) and the park/riverfront on the other. As a result, it's a hodge-podge of disjointed buildings with little-to-no vitality, that in the aggregate, serve to cut the park and riverfront off from town with each new structure. Our new city hall will be built on the last remaining parcel on this plane. Therefore, the concept of integration and cohesion with the park and riverfront district lies with how we design this building and how it serves to unite the surrounding neighborhood. A new design, in addition to offering a more modern, efficient, inclusive and functional seat for our local government, has the potential to create an impactful gateway to Rio Grande Park, our trail system and the riverfront district that has developed into an important in-town hub for arts and culture. 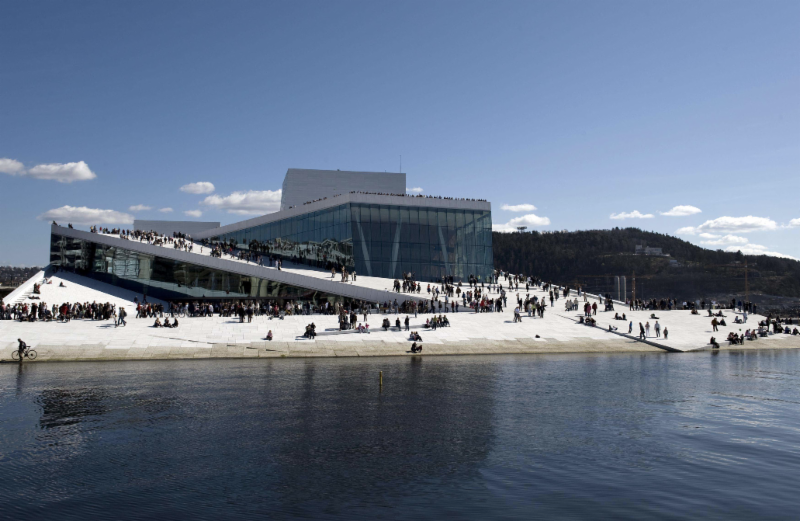 Around the world, municipalities and private corporations alike are striving to integrate their office needs with the given landscape and environment. It's urban planning at its best when function can be combined with form, which ultimately prioritizes usage by people in the community. In other words, not a single-use government office building. And, just saying, instead of looking back years from now and saying, as we always do, "Why didn't we think of that?" We can also explore the incorporation of modern transportation and parking solutions. Civic & Arts/Cultural belong in the heart of town. Aspen has the fortune of an integrated civic core in the heart of downtown and the substantial community character that has resulted. Mixed-use buildings and mixed-use areas create vibrant, memorable places. Integrating complimentary uses can result in a more active and more interesting environment. Focus on creating great people places. These public places then become the backdrop for social interaction. Affordable Housing & Affordable Commercial space ensure viability of civic functions and vitality of town. Parking. Address the need for parking while not inducing additional traffic. Public-Private Partnerships. Private enterprise may significantly extend the public's ability to reach public goals. Explore win-win scenarios. Pedestrian Connections. The design, programming and implementation of civic projects should focus on the pedestrian quality of the district. Arts & Culture are intrinsic assets. A sustained cultivation of the arts and culture in Aspen will further enrich the Aspen community, reinforce its international profile and strengthen its economy over the long term. The current city hall design fails on ALL of them. And a 2016 "addendum" makes preposterous justifications for the droll proposed design. Imagine trying to convince people that Public Open Space will be honored by the new building's "site plan and landscape plan (that) include an improved street edge along Rio Grande Place." Gee, thanks! Oh, and the "current staircase will be reconstructed into a stronger design element." These are simply pathetic explanations for how the design meets the Civic Master Plan!! The fact is, it just doesn't!! Furthermore, in 2011, city staff prepared an assessment of long range office needs. Notable is the rejection of the Zupancis parcel for city office needs. (This is where the new Aspen Police Station now sits.) 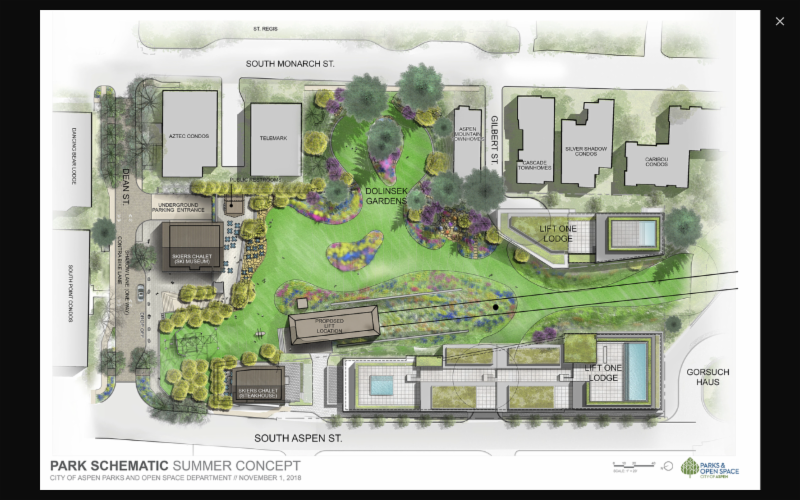 The memo states, "This (Zupancis) site has little or no potential for incremental development; it would have to be built all at once, at a substantial price. Full utilization of the site means a 25,000 square foot, three-story building, which is two and 1/2 times what is necessary to consolidate city offices." Yes, in 2011, a 25,000 sf building was considered 2.5 times what was needed. And now we are building 37,500 sf (7200 sf of which is meeting space). What changed in 8 years?? Clearly, the "programming" for the new building needs a good review! The real tell as to how we got where we are today is that in 2014-2015, at Barwick's behest, the 2006 Civic Master Plan was obfuscated by a nearly 500-page Facilities Master Plan. Lord knows what this tome cost us, but in the end, it reflected Barwick's desire for major civic projects and, regarding new city offices, his uncanny way of creating a confusing mix of options for where to stuff 50 pounds of potatoes. But this was just a distraction from the more pressing issue of whether or not we really need 50 pounds of potatoes. The 5-year process that brought us to today was primarily focused on the new city office building's location, not its design. When the 2018 vote determined the location, somehow the programming for and design of the new building were completely kept from the public process. And these remain mostly under wraps today. All post-election efforts were immediately focused on funding mechanisms and a speedy demolition of the ACRA building on Galena Plaza, underway at this very moment. The 2006 Civic Master Plan is now 13 years old and arguably needs to be updated. But the city cannot have it both ways. If the Master Plan is outdated and to be ignored for purposes of the new city hall, then stop pointing to it when considering potential changes to the SCI zone and the recycling center! Following the November 2018 vote (when what was decided was the location for the new city hall and approval of a budget of $46-$49 million), between November 16-18, Mayor Skadron, Adam Frisch and Ann Mullins each responded to inquiries about the DESIGN of the new building, now that the site was determined. The crux of the inquiries centered around the proposed plans "lacking substance," and questions about the new building having "the lasting significance of the architecture of the Pitkin County Courthouse, the Armory and the Wheeler Opera House," buildings which "set the tone and serve as the foundation for the character of our town." The three responding council members each stated their support for discussions about the building's design to commence. Steve: "I'm forwarding your note to Charles Cunniffe, the lead architect, for his thoughts. I'm interested in his response because the direction we gave him parallels your suggestions." Adam: "Thanks for reaching out and sharing. We are getting an update from staff 22 Jan."
Ann: "You are of course correct, we want something that we are proud of, a notable piece of civic architecture. We will have several more meetings before the final design is decided. Please come to our meetings and express the same concerns you state in your emails. In the meantime, I will continue to push for the best civic design." The Red Ant is trying to get the city on record as to whether or not there will be a public process for the building's design. Last week, in a public meeting with neighbors impacted by the demolition work, it was clearly conveyed that the architects are currently working on the design of the building so that it reflects council's direction. (In other words, the city is building the airplane while it's in the air.) The Red Ant is cautiously optimistic that there will be some form of public process; the city knows it has to conduct one. But the degree to which any of the proposed plans can be changed is yet to be determined. **At press time, council, in a 3-1 vote (Adam was absent), has enabled a small group of citizens led by community leaders Bill Stirling and Harry Teague, who spoke at last night's council meeting, to make suggestions that might improve the plan. This is a good baby step, but several on council want to keep much of the existing plan with potential changes limited to exterior and landscaping elements. But it IS a first step. In the leadership vacuum in city hall (no city manager, no assistant city manager and a lame duck council), Wheeler (in his new role) and Jeff Pendarvis, his replacement on city staff, are currently pushing with full force to fast-track construction with little-to-no oversight. And no publicly-approved design. Architectural fees are mounting. The base contract with CCA for $2.3 million plus over $900K in change orders puts us at $3+ million to-date. In its sneaky and opaque way, the city is loathe to make clear exactly where the money is going. But here we are, $3+ million in design fees in, and we don't even have a physical or digital model that's available to the public. Council, clearly in over their heads and in full deferral mode, doesn't know how simple it is to send a set of architectural plans to someone in Asia and have a 3-D model sent back the next day for $50. The plans to issue Certificates of Participation (COPs) to fund the estimated $46 million project are in motion, despite the sincere and appropriate questioning of this methodology by councilman Ward Hauenstein on March 11. Again in full freak-out mode, Skadron lashed out at his colleague for wanting to make sure that COPs are indeed the best route. Sure, costs will be incurred. But while the utility work is being done this spring and fall, if we can just slow down this runaway train to contemplate, evaluate and create a really good design, we can lay this nonsense at the feet of long-gone Steve Barwick and a soon-to-be-out-the-door council that had no idea the degree to which they were being manipulated by city staff. Besides, Jack Wheeler's fee alone ought to cover A LOT of the incremental costs! In a strange twist of fate (or perhaps by Barwick's design), the financing decisions and the hurry-up demolition and utility work is happening in a 3-month "lame duck" session of city council. Uniquely, due to the municipal election being moved from May to March this year, the sitting council will not hand over responsibility until June. Therefore, decisions to finance, decisions to pump the brakes, decisions to call for a true public process on the building's design, and many other big decisions must be made during this time. But by whom? Lame ducks (Bert & Adam) may or may not be inclined to act; they may no longer care. Angry term-limited mayor Steve Skadron will likely fight to defend his anemic legacy of ineptitude. Sitting council members (Ward & Ann) may or may not be invested in Barwick's plan and willing to re-visit past discussions and decisions. Newbies (Rachel, Skippy & possibly Torre) may or may not be willing to get involved. But each of them definitely should! These are critical decisions, and now is the time to stop the madness. While the utility work is happening, let's pause and re-group on the building's design. With a mayoral run-off on April 2, the good news is that this issue is going to be A MAJOR campaign issue. At least it will if The Red Ant has any say. The tea leaves are certainly promising. On March 13, in response to growing public outcry over the lack of a public process on the design of the new city hall, Torre issued a statement: "I support a review and changes to the final design and programming of the new city office building. The current iterations have unclear space/program allocations, do not appear to address community goals, and provide the city of Aspen employee generation and growth without mitigating for those impacts. I support new office space being built at the Rio Grande location. However, I share the concerns I have heard from others, that the current design is not as efficient, inclusionary and complete as it should be. This municipal building is a chance to exemplify our current values and aspirations. As such, it deserves careful attention." The Red Ant is quite confused by Ann Mullins (a successful landscape architect and urban planner who was involved in the redevelopment of Denver's Union Station), whose statement to the Daily News regarding her candidacy assured us she will "focus on long-term planning vs short term action." Surely this implies Ann too is willing to revisit the critical design aspects of the new city hall? Hmmm. I hope so, but when specifically questioned by The Red Ant whether she'd be willing to re-evaluate the building's design, she lamely responded, "The interior programming, landscape design and exterior spaces have not been finalized." Right, Ann. Like carpet and paint colors and a couple of trees are going to make the kind of difference this project desperately needs?! C'mon. Always reticent to question city staff's decisions, she is clearly going to need to be shown the light. What I fear the most is that those on council today are gripped by the fear of re-opening the application to the point that it may be subject to another lawsuit or referendum. Apparently, they'd much rather rush a mediocre (at best) project through than strive for a great one due to their fear of embarrassment and the risk of legal action. Ugh. Such a weak way to lead!! CITIZEN OUTCRY & A REQUEST TO "PUMP THE BRAKES"
Many citizens have joined together to hit the pause button on the new city hall design. In all likelihood, this building won't begin vertical construction until spring 2020. There is plenty of time for a public process on the building's design. Support community leaders Harry Teague and former mayor Bill Stirling with a letter to the editor expressing your desire for a public process on the design of the new city hall. Sign the petition to join us. We just want a public process that will yield the best outcome for Aspen. Sign it HERE. It's not legally binding, and no, you don't have to be a city resident. Send a message to council that we can do A LOT better! Send an email to council (plus Skippy, Rachel and Torre) with your thoughts on the need for a public process for a better building design. Time is most certainly of the essence, but your input can help make a difference. Thank you in advance for participating. The Red Ant thanks Peter Grenney for the use of his slides in this issue. "Censorship no longer works by hiding information from you; censorship works by flooding you with immense amounts of misinformation, of irrelevant information, of funny cat videos, until you're just unable to focus." There's an INCREDIBLE amount of misinformation circulating related to the one measure on the March 5 ballot - The Lift One Corridor. The Red Ant is all for political discourse, but the intentional spreading of blatant falsehoods designed to mislead is simply too much. I wrote in depth about the myths surrounding the Lift One Corridor plan in last week's issue. Read it again HERE. The requested change from Conservation to Lodge zoning DOES NOT jeopardize an animal refuge, migration corridor nor protected land. The existing Conservation zoning DOES, however, allow for residential development, among other impactful uses. The city's $4.36 million investment in the overall project IS NOT a subsidy to the developers; these funds will finance the necessary infrastructure work on Dean Street and S. Aspen Street, plus the parks. There is no subsidy, unless you count workforce housing. There is subsidized housing for 67 employees provided by the developers, in accordance with the land use code. These units will be available prior to the certificates of occupancy being granted for the lodging properties. And both properties will continually contribute to the RETT, generating millions of dollars toward hundreds more units of subsidized housing over time. This proposal CANNOT and WILL NOT go back to the council table for "revisions." This is it. If voted down, Lift One Lodge moves ahead with its existing approvals that preclude a lift corridor down to Dean Street. SkiCo WILL NOT replace 1A unless the bed base is increased by the two proposed properties. World Cup WILL NOT return unless we replace the lift and develop a first-world base area there. This is NOT an a la carte menu. The status quo is NOT AN OPTION. Change is coming. It's the Lift One Corridor proposal or it's four single family homesites. Public or private access. Period. You decide. SkiCo is NOT planning to replace 1A "just because." That lift is old and there aren't many parts left. But without a significant development to justify the cost of a new lift, the current lift is what we'll have ... until it breaks down one last time. In case you missed it, Mike Kaplan, President & CEO of SkiCo penned an endorsement of the Lift One Corridor. I'm printing it in its entirety here because it's vital for you to know where SkiCo stands. They are a critical stakeholder in the proposal and worked diligently with the city and both lodging partners to negotiate this great solution. Don't just take my word for it! Almost two days after a snowstorm last week, I skied a favorite line between Henry's and Super 8. It's tight, steep, every turn counts and, as usual, it was mostly untouched. Aspen Mountain holds all sorts of stashes like that. It's why Ajax skis so much bigger and so much more interestingly than its acreage might suggest. One reason that line gets overlooked is because it's accessed by a 47-year-old fixed-grip double chair: Lift 1A. I wondered about that as I skied it. Will adding a modern, higher-capacity lift as part of the Lift One corridor project mean more tracks in my favorite places? What will the new lift - and the whole corridor plan - do to the experience of skiing that special side of the mountain? It'll change it. You can't argue that. And since choices in Aspen are so often framed in terms of their downsides, much of the conversation has gone that way. But as I think it through, I see a lot of upsides: The new lift will give better access to the Dumps and the whole west side. It'll make doing laps over there a first-choice option. Come springtime, that's where I would start-carving corn turns on Fifth Avenue and Silver Rush, and then watch from a patio at the new Gorsuch Haus or the Skier's Chalet Steakhouse as Aspen Mountain's army of experts rip down Corkscrew and Slalom Hill. People develop personal attachments to the way they ski a mountain, particularly Ajax. 1A has long been that treasure you hit later in the day. But could drawing skiers over there earlier have effects elsewhere? Maybe an extra Walsh's-to-Jackpot lap on a powder morning or another pass through the Dumps as skiers are more balanced between the Silver Queen Gondola and the new lift. I expect we'll see a new moment of pause at Rubey Park as people get off the buses and make the call. Two portals at the base is rare in the ski world and in this case they'll force a reassessment of what to ski when by even 2,000-day Ajax regulars. Of course, the most basic skier upside of the 1A proposal is obvious. Ski area planning 101 says you bring the lift to the bottom. This goes farther: It brings the lift all the way to town. At SkiCo, we have obsessed over making sure the plan meets our requirements for ski area operations, World Cup-scale events, skier safety and flow. We would never agree to a base reconfiguration that ignores the skier experience or undermines our ability to host ski racing in the future. At 60 feet wide at its narrowest point, the proposed ski return leading to the new lift is comparable to the bottom of the Little Nell run as it funnels into the right side of the gondola, which is 58 feet at its narrowest. Simply put, the skiing works. And while losing the last few turns on Norway is not ideal, it's necessary to make the project work. The overall tradeoff for more balanced usage of the west side of the mountain offsets that small terrain loss. The proposal honors our skiing past in a way that seems fitting for a town as history-obsessed as Aspen. Frankly, the current state of the original Lift 1 artifacts should embarrass all of us. They'll be front and center now, more accessible to the public and a reference point for a ski museum brought to life by the Aspen Historical Society. That's just one aspect of a revitalized base area that will include dining, après, and skier services. 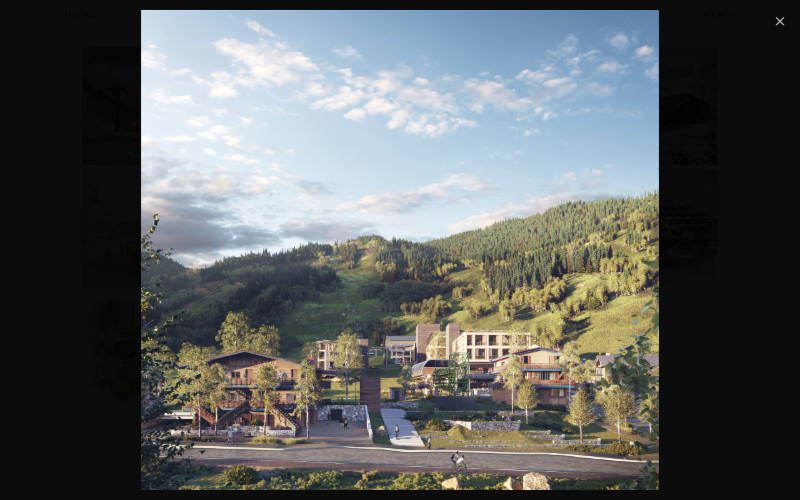 The new development will bring vitality to a side of the mountain that has been too sleepy for too long, and it's what would justify SkiCo adding lift capacity to that side of the mountain. I'm not ignoring the fact that the plan comes with two sizable buildings. But with the Hotel Lenado and the Mountain House having joined the list of the lodges we've lost over the past few decades - totaling hundreds of lost beds - I welcome Gorsuch Haus and Lift One Lodge. They're in a location where bed base belongs and where they'll have the least impact compared to adding them elsewhere: walking distance to both transit and all of the amenities in the core. On balance, the upsides really do outweigh the downsides here. I've seen lots of ideas for the revitalization of the base of 1A, and this is the best plan I've encountered. Let's not let the perfect be the enemy of the good. Please join me in supporting the Lift One corridor proposal at the ballot box. In addition, in an article in today's Aspen Daily News, the developers reiterate what Issue #148 explained - it's now or never. And again, SkiCo weighs in, "Cutting the master plan into its constituent parts compromises the individual elements and cripples the master plan." Read it HERE. And, due to an online edition snafu last week, you may have missed columnist Paul Menter's thoughts on the Lift One Corridor. Read it HERE. "Everyone gave up something to get a lot for the community. Primary among the collaborators, the Gorsuch Haus folks gave up having the Lift 1A terminus adjacent to their planned hotel at the top of South Aspen Street. The Lift One Lodge folks, who already had development approvals in hand, reworked their building design in order to provide access for the ski return to pass through their property. The city of Aspen pushed for the community-serving amenities, including the lift relocation, a new ski museum, refurbishment of the Skiers Chalet building, reconstruction of Dean Street, and a consolidated Willoughby/Dolenisk open space, and put the capstone on the collaboration by agreeing to provide up to $4.36 million towards the completion of those community-serving facilities." The Lift One Corridor question is truly critical for Aspen. It's far more important to consider the immense community and ski area benefits before indulging individual interests, whether they be those of NIMBY neighbors or a desperate politician whose only hope at re-election is to ride the coattails of manufactured dissent. VOTE YES ON THE LIFT ONE CORRIDOR. The time is now. Still undecided? Have specific concerns that you'd like to personally ask the principals? Jeff Gorsuch, Bryan Peterson, Michael Brown and others involved in the plan will be at The Gant on Thursday, February 21. Please stop by to personally get at the heart of the issues that YOU are concerned about. One-on-one. RSVP: Click HERE to let them know you'll be coming! "You've got to do what's right, or what you think is right. And you've got to make tough decisions. And you've got to be willing to take on your friends when you disagree with them." Please take time to consider the candidates for mayor and council. After all, this board makes the big decisions that affect our lives. 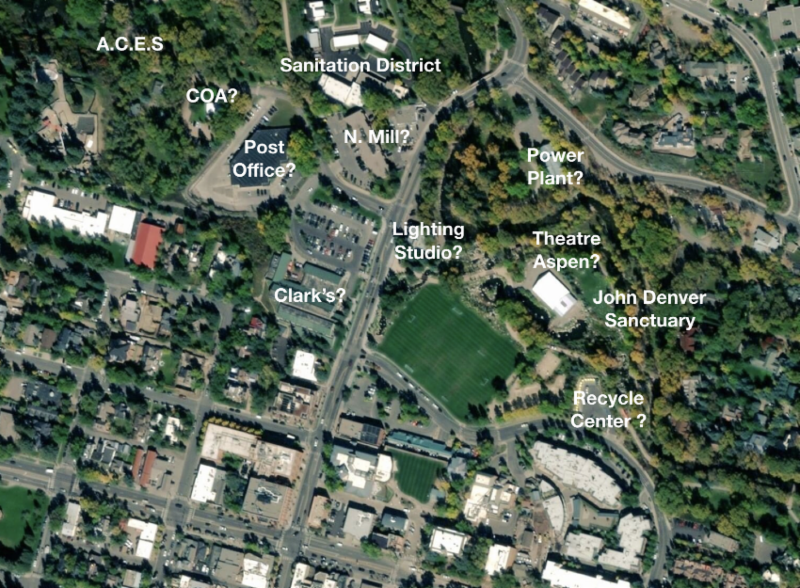 Prior councils have brought us the hydro plant, the brou-ha-ha over a brewery at the Old Power House, building moratoriums, geothermal drilling experiments, and summer 2018's narrowing of Aspen's chokepoint, the Castle Creek Bridge, in order to widen a bike lane, among other mind-bending pet projects and pipe dreams. But to keep it in perspective, we've survived many a nincompoop on council and even more stupid decisions. We willsurvive the outcome of this council election too, but we better our chances by keeping our focus on the "least worst" candidate(s). This is actually a much bigger deal than which "great guys" (or gals) we elect on March 5. 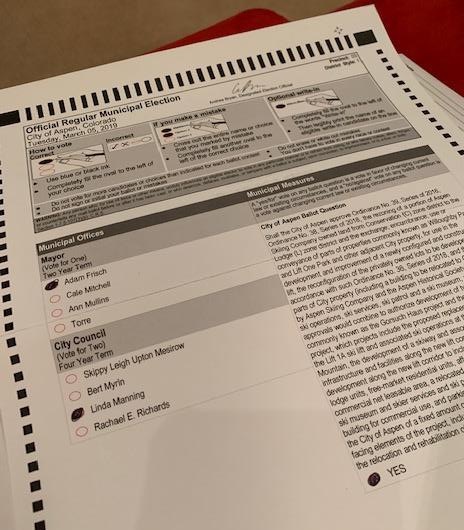 The sole measure on the ballot pertains to the "Lift One Corridor." We finally have an incredible and collaborative solution to the western portal to Ajax that both honors our history and ensures vitality in this blighted area for the future. This is a generational decision; one fraught with some of the most nonsensical objections based primarily on rumor and false information. I've been nothing short of appalled at the lengths that the old "bring back the quiet years" cabal have gone to convolute the matter at hand in their misinformed hopes of maintaining the decrepit status quo. I hit on a couple of "fake news" rumors in the last issue, specifically pertaining to the underlying zoning and a purported taxpayer subsidy. I will reiterate the facts here, and dispel several other myths that detractors, including several candidates for office (ahem, Torre and Skippy) are blabbing about. I encourage you to verse yourselves in countering the misinformation that is circulating. Everywhere I go, someone has heard some of this BS. And it is BS. We will not get a second chop at this question, despite what you hear. Please join me in doing what you can to educate the uninformed. Myth #2: "The city is giving the developers a $4.36 million subsidy." WRONG. Nope. Not a subsidy at all. The city is INVESTING $4.36 million in the overall project, with funds specifically going to the PUBLIC access and amenities along the proposed Lift One Corridor. (And not until the replacement lift is running.) These include long-overdue and necessary improvements to infrastructure that the city SHOULD ABSOLUTELY pay for, such as South Aspen Street itself and the reconfiguration of city-owned Willoughby/Lift One/Dolinsek parks (which will be combined into a huge open space) to accommodate the new lift alignment. (Recall that the COMMUNITY pressed for the lower lift terminus which brought the city to the table with our public park parcels.) And, in case you were wondering about the ski museum, the old Skier's Chalet Lodge is being moved and renovated by the developers, and will be administered as a museum by the Historical Society. Myth #4: "The new lift alignment will require the removal of 'tens of thousands of trees.'' WRONG. And horse-puckey. The new lift terminus will be 500 feet lower than where it is today, and the only "environmental" impacts will be the reconfiguration of the three parks. This is simply a ridiculous exaggeration! Myth #5: "Elect us (Torre and Skippy) to council and we will send this back to the table to get 'a better deal.'" WRONG. This one doesn't go back to the table. If approved by the voters, it's happening. If voted down, re-zoning for the Gorsuch Haus doesn't happen so that hotel won't get built. 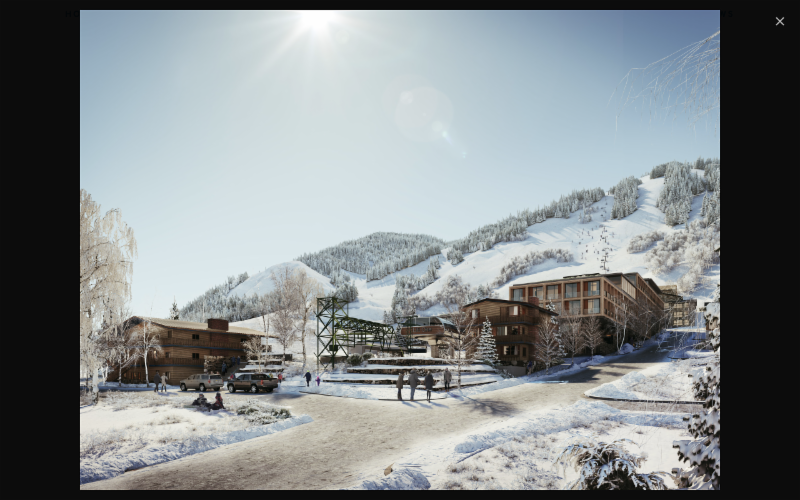 SkiCo has already said that without both Lift One Lodge AND Gorsuch Haus, they will not replace Lift 1A. FIS has told Aspen that without a refurbished base area and a replacement lift, we will not see World Cup races here again. 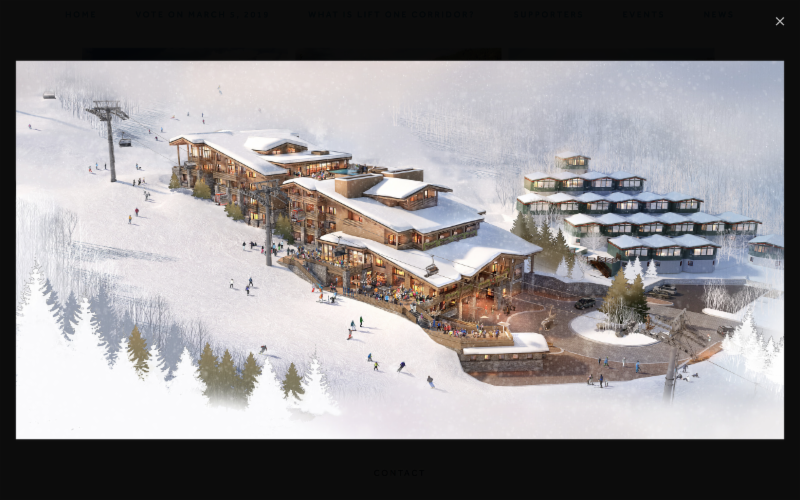 Most notably, Lift One Lodge is already sitting on approvals for an earlier design and they can begin construction immediately. Which they will. Their earlier design DOES NOT include the Lift One Corridor down to Dean Street; that land will be used for their already-approved project. All of these are material facts. There is no second pass at this, regardless of what you hear. This is it. Myth #6: "I like 1A the way it is. Vote NO and keep it that way." WRONG. The status quo is not an option. If this measure goes down, the 11 acres in question at the top of South Aspen Street will remain zoned "Conservation." Recall that Conservation zoning already allows for residential development. Look for that land to be sold and up to four (4) large private residences to be built on that site in the very near future. For those of you who remember the Ski Club land at the top of South Mill Street, take a spin up there this week. Or better yet, ski past on Summer Road and look down. See all of those mega homes where the ski jumps used to be? You get the picture. Myth #7: "What, like SkiCo won't just replace 1A when it's time? Of course they will." WRONG. The Red Ant loves a good "I told ya so," but this one pains me to think about. SkiCo has made it clear that they won't replace 1A without the Lift One Lodge AND Gorsuch Haus rooms added to our lodging inventory. They sure as heck won't take a shine to putting a brand new lift in for four private residences. Oh, and do you really think 1A has a long lifespan ahead. Really? We all love "Aspen's 5thMountain" over there on the west side. I for one won't like it nearly as much if I have to hike. 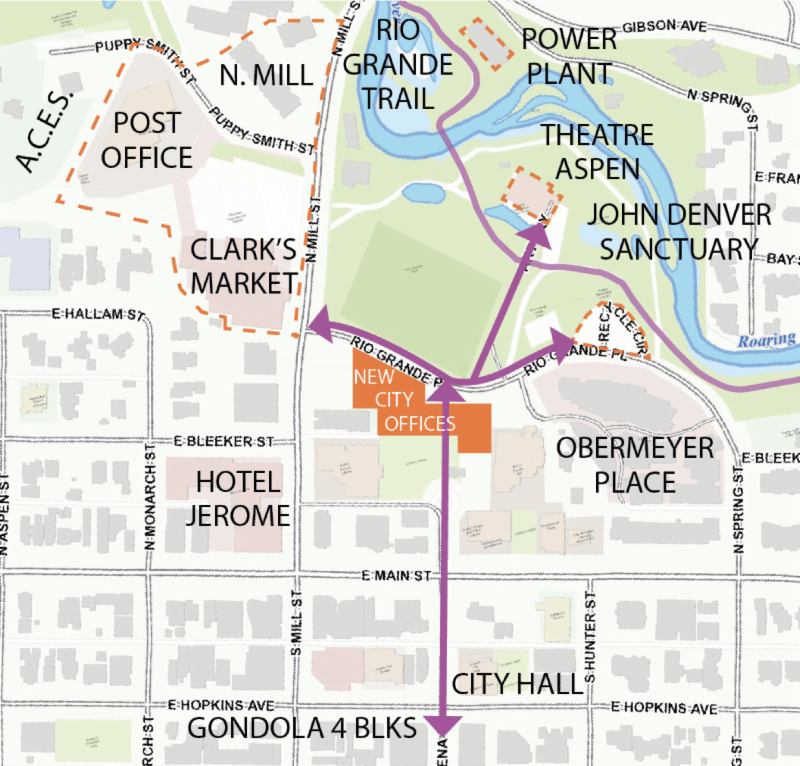 The Lift One Corridor question is a generational opportunity for Aspen. We built the gondola in 1986 and The Little Nell in 1989. These pivotal changes were controversial at the time too, but in the end became essential (and beloved) assets to Aspen the ski area, Aspen the town and Aspen the world-class destination resort. We have a similar opportunity to enhance our ski area, our town and our world-class facilities with the Lift One Corridor. This is a great solution. Let's do this today, because if private homes are built on that site, we can't just go find another. VOTE YES. And bring the mountain back to town. And who better than to back me up on the virtues of this issue? How about the Aspen Daily News' Paul Menter. Read his assessment of the project HERE. We're electing a new mayor because Steve Skadron is thankfully term-limited out, and two council seats are up: Bert Myrin is running for re-election to his, and the seat currently held by Adam Frisch is up for grabs since Adam is term-limited out. As has become par for the course here in the A-town, much of what we're given to vote on is a race to the bottom - of the barrel. For as intelligent a voter base as we have here, it's a crying shame when "the usual suspects," like phoenixes rising from the ashes, crawl out of the abyss and try their hands again and again to win Aspen's "good guy" contest. Thankfully, I have found the best solution(s). Or should I say, "least worst." I have asked each of the 8 candidates (4 for mayor, 4 for council) to answer a brief questionnaire. What's different this time around is that each questionnaire is different - tailored to each candidate in order to delve further into some of their specific platforms. Each questionnaire ends with the same Yes/No section and a quick "lightning round" so that you can compare their stances on the issues of the day. Each candidate graciously participated, so I encourage you to take the time to read each one, as submitted (linked below). Three other fellow citizens have thrown their hats into the mayoral race, including sitting councilwoman Ann Mullins, who still has two years left in her current term. (Ann is playing with house money in this race -- if she is not elected mayor, she will still serve on council until 2021. One way or the other, we'll still have Ann.) Ann's bid for mayor is interesting, especially with Barwick leaving. She felt that 19 years wasn't long enough to evaluate keeping the old fart around. That alone, and her record of over-reliance on city staff recommendations vs evaluating proposals and making decisions on her own, tells me that while a valuable (and most often dissenting) voice on council, she is certainly not suited to lead, especially at this critical juncture. To quote my friend and favorite writer of letters to the editor, Maurice Emmer, "With Ann at the helm, there will be no fear of progress." And maybe I shouldn't bring up her tenure on the Red Brick Center for the Arts board (the city-owned home for arts organizations) which, like Nero, fiddled while the executive director embezzled $150,000 right from under their noses. Ooops. I guess I just did. Ann on council for two more years? Whatever, fine. As mayor, with oversight of a $120 million annual budget, not so much. And, Torre. It's his 5th run for mayor. I simply don't see it. Never did. (The 80's called. They want their one-named tennis instructor back.) Torre wasn't the right guy for mayor before, and I have a hard time believing that his "life experiences" in the meantime on the courts at the Smuggler Racquet Club and the Snowmass Club, and at New York Pizza have prepared him in any way to lead the board of what is effectively a corporation with a $120 million annual budget. He's a smooth talker alright, but about what exactly? Mandatory composting? More work on the roundabout and S-curves? Really?? We have to hire a new city manager, face pressing development challenges, address housing needs and oversight, and contemplate a major airport expansion, among other real issues. We can't be electing people best suited to ride in the Winterskol parade (which has been cancelled for years, by the way). What this town needs is leadership. I respect Torre's passion, but sorry, the 5th time isn't the charm either. An honorable mention goes to Cale Mitchell, a newcomer to the political scene. That he actually works (two jobs) and is willing to serve is notable and to be commended. Thank you for jumping in, Cale. It's always great to get the perspective of an outsider on the nonsense that we too often come to accept as a matter of course. Thank you for sharing your thoughts, especially relating to environmental stewardship. A "Green New Deal" for Aspen may be a bridge too far (it certainly is for The Red Ant), however, your thoughts are not in a vacuum, and I encourage you to get involved on citizen boards where members are likely thinking similarly about hemp, composting and sustainability. That process will broaden your knowledge of the government - resort - community dynamic and better position you to jump in again (should you choose to) with more experience. For council, this one is easy. We've done it before. It's called "the bullet vote." You can vote for two, but The Red Ant says, no, this time just vote for one - the best one - and get that candidate elected on the first ballot. Don't advance a second candidate "just because." In this election, The Red Ant says, BULLET VOTE FOR LINDA MANNING. Let's get Linda in. She is the very best candidate in the race. Our current city clerk (who has seen the sausage being made in city hall and is over it) brings an enthusiastic, pro-business, fresh perspective to the ballot. All too aware how hard the city makes life for business owners and residents alike, Linda knows the systems and the hurdles to streamline. And how to get this done. She has been in the closed meetings where "the whole story" is discussed yet kept from council and the public. She'll be an incredible asset when questioning staff on their selective facts. She is a 40-year-old political newcomer who actually works for a living and lives in subsidized housing. When it comes to representing these two critical constituencies (workers and housing residents), with Linda on council, she will check the boxes no other office holder can. With few exceptions, for far too long we have elected a bunch of under-employed, free-market housing dwellers to make decisions that affect those whose lives and livelihoods are entirely foreign to them. Her peers in Aspen's NextGen (especially) and the business community will be very well-served with Linda at the table. Who better to understand the ins and outs of APCHA, especially when faced with critical governance and policy changes, than someone who actually lives in an APCHA unit (and if elected, will be faced with assuring her own program compliance by giving up one "real" job and finding a new one)? Who better to address government inefficiencies and roadblocks than someone whose job at the city deals with the frustrations of the business community on a daily basis? Linda is far and away the best candidate for city council that we have been presented with in years. Let's bullet-vote her in on the first ballot, and deal with council seat #2 (hopefully) in a run-off. Bert Myrin and Rachel Richards comprise an interesting match-up for that second council seat. Both are qualified candidates. I agree and vehemently disagree with both of them. Bert was my choice four years ago when we all bullet-voted Adam onto council on the first ballot, pitting Bert vs our old nemesis Mick Ireland in a run-off. I've worked with Bert successfully in the past to defeat the hydro plant, and respect his intellect, but found myself frustrated during his first term on councl when he had solid ideas and opinions yet was never assertive enough to take an independent and strong stand. He was always for Barwick's removal, but waited for two other votes versus pushing and politicking to get them. (The Red Ant wants representatives who lobby against all odds for what they believe, even if they go down 1-4 every time.) Stand for what you believe! It matters! I think he is 100% on the wrong side of history with his current and vociferous objection to the Lift One Corridor. Bert, if you don't like the housing requirements of the city's land use code, as a councilman, you should have worked to change them! I do hope that Bert ends up in a run-off against Rachel, however. She and I rarely see eye-to-eye politically, and I am concerned about the "career politician" role she has worked hard to create for herself by serving 26+ years in local elected office. (And you thought Mick was around for a long time!?) Elected experience is one thing, and if elected, she certainly shows up on day one ready to roll. But I'm concerned here as I would be with any longtime local about the lack of "waypoints" learned through real world experience. This makes it very difficult for these folks to navigate real world issues. (We've seen it all too often with Mick Ireland and Skeve Skadron.) Besides, how will she adjust to a lowly council role after serving in the rarified air (and paycheck) as mayor and then county commissioner? With such past leadership roles, how will she adjust to serving with a first-time mayor? I worry about her lack of experience in anything but elected office, and wonder what she plans to do work-wise in order to remain in compliance in her APCHA unit. But I do know that she does support the Lift One Corridor. For now, I say let's keep these two on ice and hope for a run-off when we can delve a lot deeper in a head-to-head match-up. BULLET VOTE FOR LINDA MANNING. How can you get involved? Support a candidate. Every $10 donation helps. Lend your name. Volunteer. Retail politicking is a dying art, but it's a proud tradition in Aspen. Join in. "Things won't change unless we have new types of candidates." In a long-overdue move heartily endorsed by The Red Ant, city council recently asked for and received the resignation of city manager Steve Barwick. His actual departure cannot come soon enough, but the ninnies on council who narrowly voted 3-2 to remove him are now grappling with how and when to show him the door. Ward, Bert and Adam voted to axe him, while Ann "needed more time" to consider it (despite him being in this role for 19 years). I wasn't there, but I assume Steve Skadron wept. The dearth of real-world work experience by any single member of this board became immediately evident. Upon accepting Barwick's resignation, they neglected to discuss or even contemplate appointing an interim successor, restricting his actions (hiring/firing/promoting/demoting) in city hall, and setting his last day. So, in this leadership void, as he has always done when serving as overlord to our feckless elected bodies, Barwick took control and ran the table. By the terms of his overly-generous 2010 employment contract, negotiated by his old pal Mick Ireland when he was mayor, Barwick exits with what will likely be a $500,000+ payout, payable within 20 days of his departure. This includes a year's salary ($200K) + the buy-back of his city-owned house* ($210K) + and an equity buy-out on the appreciation of said house since its purchase in 1995 (~$100K). Oh and don't forget all of those vacation and sick leave hours he has undoubtedly banked. My guess is this will be an additional five figures. Next (cue the harmonicas and windchimes), led by Bert Myrin, our ineffective leaders started singing kumbaya, and with your money have decided to REWARD Barwick for his service with a bonus of 6 additional months in the "city-owned" city manager's house, plus 6 additional months of city healthcare. Why? Because Barwick had the audacity to ask for it. And, as Ward told me, "It's just not right to kick a guy when he's down." (Note to Ward: Complying with the terms of a mutually agreed upon contract is hardly kicking someone when he's down. And why would he be down? He's a half million dollars richer and dancing all the way to the bank!) The next challenge is getting the man out of the building. At press time, Barwick sits in his office, ostensibly looking for his next opportunity, but in the meantime, remaining on the payroll until he deems it time to leave, continuing his poisonous reign and fostering the toxic culture of hubris that has infected our local government for decades. Rumor has it that the city will be hiring a search firm, and that citizens may have roles on a search committee, but for now, the more things change, the more they stay the same. More on council's rationale for removing Barwick HERE. Clearly, such favorable sales have been selectively doled out by Barwick over the years, at prices that are effectively raises (more like gifts). Why should city employees get privileged deals like these, outside of the governing rules of APCHA, when other members of the community cannot? As these units turn over, it is imperative that we get ourselves out from under the vicious cycle of buying them back with appreciation. These assets should be utilized as rentals to attract and retain key city employees, period. If employees wish to own their homes, they are entitled to apply to APCHA, just like everyone else. In the meantime, they can rent. DO NOT VOTE until you have received The Red Ant's endorsement issue, which will include candidate questionnaire responses and my thoughts! Again, this is a municipal election, so only Aspen residents may vote. Verify your voter registration and mailing address HERE. We will be electing a new mayor (Steve Skadron thankfully cannot run again because of term limits), and two council seats are up, those held by Adam Frisch and Bert Myrin. Fake News #1: The proposed land for the Gorsuch Haus project is "conservation land," designated to be protected forever not unlike a land trust or animal refuge. WRONG. Aspen's land use code specifies permitted uses for "conservation" zoning (C) as residential dwellings, stables, cemeteries, railroad and temporary special events, plus conditional uses such as sewage disposal, ski lifts and other ski facilities. This land is currently NOT "protected" despite the word "conservation" confusing some folks. The ballot question proposes re-zoning this (C) land to "Ski Area Base" (SKI), a category designed specifically for property at the base of ski areas with the intent to provide a mixture of uses related to ski area uses and operation, including lodges and hotels. BINGO. Fake News #2: The city is giving the developers a $4.36 million subsidy. Nope. Not a subsidy. The city IS kicking in $4.36 million to the overall project, but these funds are specifically going to the public access and amenities along the proposed Lift 1A corridor. And not until the replacement lift is running. These include long-overdue and necessary improvements to infrastructure that the city SHOULD ABSOLUTELY pay for, such as South Aspen Street itself and the Dolinsek property (a public park affected by the new lift alignment). Furthermore, in case you were wondering, the creation of a ski museum at the old Skier's Chalet is being funded by the developers - not taxpayers - and will be administered by the Historical Society. It's a short ballot, but a critical one. The Red Ant will help you with your March 5 election decisions! Look for the endorsement issue during the week of February 11. "Will people ever be wise enough to refuse to follow bad leaders or to take away the freedom of other people?" It's time for you to go. For years you have "led" the City of Aspen like a lazy consultant, directing staff to pursue idealistic pet projects with no eye toward fiscal restraint, and serving as overlord to the feckless city councils the voters of Aspen have put into office, despite that by law, you report to them. Your ineptitude spans years, as outlined here in Issue #41 (circa 2010), timed for when you sought and were granted a $170K/year contract despite your demonstrated poor performance. Sadly, for Aspen, nearly a decade later, nothing has changed, and your bad decisions continue to plague our community to this day. Each election cycle, various candidates espouse their desire to show you the door, but whether it's intimidation or just stupidity, once on council, these former campaigners ignore their promises to hold you to account. Those days are numbered, Pal. If you don't think your ongoing employment is going to be a MAJOR 2019 campaign issue, I am here to tell you otherwise. I am going to make it one. And yes, that will definitely include bouncing you from your city-owned housing on Cemetery Lane. In 2005 you intentionally misled voters with a city brochure for Burlingame subsidized housing that stated there would be a $62,500 per unit taxpayer subsidy when in reality it was closer to $400,000 per unit. And this wasn't a "brochure error," as you stated when trying to make excuses for the ridiculous discrepancy; you personally promoted the $62,500 in the media and then later even tried denying that the city ever used that number!! You enabled the Burlingame housing project to be built (by the city) without a budget, unless of course you count the one on a McDonald's napkin, that resulted in over $75 million in unexpected costs. You led, oversaw and continue to lead wasteful expenditures of millions of dollars of public funds on unrealistic, ill-conceived, cart-before-the-horse failed projects and programs such as the ZG Master Plan, the Main Street Median, geo-thermal drilling experiments, and 2019's in-the-works war on cars experiment called "the Mobility Lab." You enabled and approved, then later defended the use of city employee "purchase cards" for meals at Aspen restaurants totaling more than $250,000 in 2007 and 2008. You gave "free housing for life" at a city-owned ranchette (valued at over $14 million) to the city public works manager in order to keep him from leaving Aspen for a job elsewhere. You attempted to have an Aspen citizen "punished" by the local Rotary Club for dissenting with the local government, despite his constitutional right to do just that. You oversee and encourage a culture of intimidation in city hall, where public records searches and general harassment plague those who "align" with The Red Ant, who own historic properties and may wish to re-develop, who place political signs in their yards, and who work for the local government yet resist publicly speaking out for fear of losing their jobs. Your 2008 $26 million "land-banking" spree has yet to yield a single subsidized housing unit. You enabled the city to fraudulently collect parking fees from 2008-2011, beyond the 10a - 6p paid parking window, and blamed software for the enormous financial windfall, yet never revealed the amount. You enabled the city to get bilked for over $800K over 4 years by parking scofflaws who exploited a widely-known fault in the city's parking meters (using zero-ed out debit cards as methods of payment for parking). Yes, this is different from the 2008-2011 over-charging debacle! You assigned the city's auditor to audit the city's internal revenue collection and management systems in 2014 after "Parking-Gate," until public outcry forced you to relent and hire an independent 3rdparty auditor. You oversaw the RFP process for a suitable non-profit tenant for the Old Power House, that in the end was awarded to a for-profit group to use the facility as a brewery and event space ... until the neighbors shut the concept down. 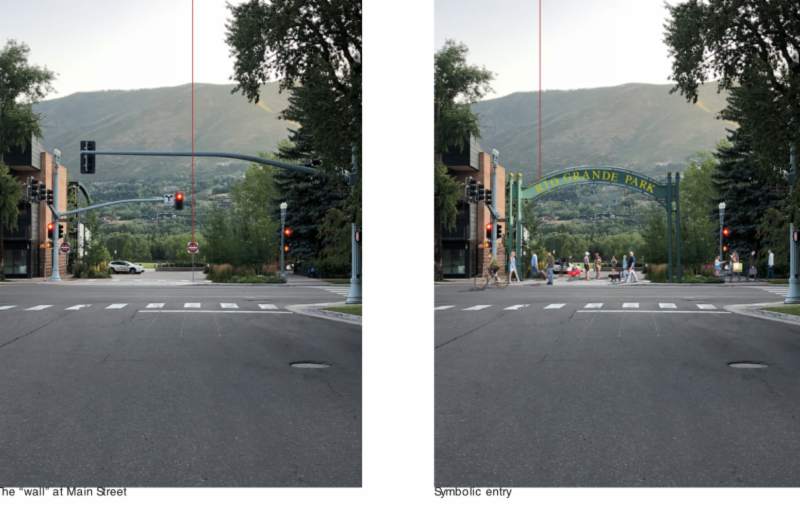 You supervised the disruptive 2018 "narrowing" of the Castle Creek Bridge (Aspen's notorious transportation choke-point) in order to create a dubious lane for pedestrians and bicycles, to the tune of $TBD millions (the numbers aren't yet finalized). You tried to award an $800K contract to Lyft for subsidized ride-sharing services during the summer of 2019 to support your "war on cars," but local transportation providers and citizens spiked it. You agreed to add 11 new city employees (and $1 million in payroll) in FY 2019 because of the financial windfall that puts the city's annual budget at $120 million/year. If you've got it, flaunt it, right? You approved the addition of a new $158K/year communications director position to specifically work to better publicly convey the city's myriad "initiatives." Did you ever contemplate that the core issue is that the initiatives just stink?? For nearly a year now, nothing has happened. No ground has been broken, no housing is in sight. That is, until last week when your assistant and henchman, aptly-named Barry Crook, sprung a 289-page document on the housing board. In the eleventh hour, you tried to force APCHA into becoming an operating partner in your bad deal with AHP so that the city would benefit from the housing authority's non-profit status and receive millions of dollars in tax breaks. The dense partnership agreement contained no proformas and no financial contributions to APCHA for its costs associated with taking 45 more units into inventory, dealing with qualifications, deed restrictions, legal costs and operational management. What happened to the developer's promise to manage the units? Now you're off-loading that responsibility onto APCHA with no compensation? We've all known for nearly a year what a loser this deal is for the city. Without the promised tax credits, the costs skyrocketed. Of course they did. That should never have been a surprise. I certainly told you so. To go to the housing authority mere days before finalizing the construction loans and development agreements with Shaw Construction was both desperate and shameful. And, good for the housing board for calling you out. At 2 minutes: Bradshaw (AHP) brags that his group brings a source of capital in the form of tax credits and debt so the city does not need to use its own money for the project. In reality, the tax credits yielded far less than promised. And the city is now providing most of the development capital at 2%. At 5:32: Bradshaw indicates that his group will be responsible for all cost overruns. If this is the case, why is the city responsible for the sales and use taxes on construction materials? Who exactly now covers the cost overruns???? At 14 minutes: Bradshaw describes how he first got involved with Aspen through a "call to Barry Crook." Interesting that immediately after that call, the city put this project out to bid and presto - AHP magically won the RFP. What a coincidence?!?! At 22:30: Bradshaw says his group will operate the units for 15 years and only then would it be necessary for APCHA to become involved (once the tax credit period is over). Somehow, the city hall housing development "brain trust" of you and Crook missed the basic fact that private developers are not exempt from sales, use and property taxes. And since the city agreed to the developer's terms that puts the responsibility for cost increases on the city rather than the developer, why would the developer point this out? What will surely be millions in additional costs will be borne by Aspen's taxpayers because you failed to include a tax-exempt developer partner in the deal from the start! It takes a particularly acute form of unaccountability to send a minion to face the criticism that you deserve, but that's exactly what you did last Tuesday. Unwilling to stand up and admit responsibility and be accountable for your team's failure, you sent asset manager Chris Everson, hat in hand, to beg the APCHA board to bail you out for your incompetence. After years of being treated like mushrooms (that is, being kept in the dark and being fed nothing but BS), the APCHA board said NO, and delayed a vote on your lame proposal. APCHA's final decision today should be NO as well. Here's why. The city of Aspen is a tax-exempt corporation. The APCHA board should recommend to council that the city take on the responsibility that your staff and the developer are trying to foist on the housing authority. And then let's see what council has to say about that! Recall how YOU promised the clueless city council that they would not bear the risk of being a developer, but you are now trying to pass off that risk to another organization at no benefit to them, while gaining the financial benefit of their agreement - a benefit you and your team should have identified at the beginning but only figured out at the very end. THIS is definitely not how a competent, reputable leader treats his partners. It's simply disgraceful. Your incompetence is breathtaking. As it stands, the AHP developer still gets his $2.7 million fee. For what exactly? It's clearly not because he has delivered on what he promised in his bid. He promised far more than he ever intended to do and is now getting paid the same amount anyway. Furthermore, did you just now recognize that you need a non-profit partner to save millions in development costs in the absence of the promised tax credits? The fact that the city will now have to eat those additional costs (as opposed to the developer doing so) is a shining example of how poorly you manage the city and the millions of dollars of taxpayer funds you are responsible for. (The current city budget is $120 million/year.) And just watch, the projected costs of the developments are going to skyrocket. There will be significant construction cost over-runs. As I told you before, two of the complexes are on very steep slopes with challenging soil conditions, which will create great technical challenges. Since you are the bank, just watch and see, the developer will most certainly be back for more money. The housing board* is absolutely right to hold you and your minions accountable. Finally someone is. And it's about time! You have always viewed the housing office as merely an instrument of your political goals, never a true partner in housing development and management. *Hey, APCHA board, I know you have a meeting on this today. Kill any "deal" that foists this responsibility on you, even if it includes a sweet "bribe" from Barwick in the form of cash (rumored to be $150K - $400K) straight from the public coffers. It simply is not right to throw even more taxpayer money at this terrible deal! And, I'm sure you're all well aware of the cozy "buddies lunch" yesterday when Barwick met with your board director and assistant director, Ron Erickson and Rick Head, to discuss a $150K "bribe." To cram this AHP nonsense down APCHA's throat and use public funds to get you to vote yes is hallmark Barwick. Like a wounded and rabid animal, he is backed into a corner and is in major damage control mode. Unfortunately, he is also armed with the public's checkbook. Do the right thing. JUST SAY NO. Mr. Barwick, with a municipal election merely 12 weeks away, I reiterate that you can count on your ongoing employment becoming a major campaign issue. Do us all, and yourself, a favor and ride into the sunset. And take the Crook** with you. **At press time, The Red Ant is pleased to announce the abrupt resignation on Friday of one aptly-named Barry Crook from the city of Aspen, following a profanity-laced tirade at the conclusion of last week's APCHA board meeting when they voted to delay the approval of this terrible proposal. Crook notably called the board "mother-f**king extortionists." Overnight last night, Crook was mysteriously placed on immediate paid administrative leave by the city, so there is some good palace intrigue going on. In any case, Crook is a goner. Hopefully sooner vs later. And P.S., readers, if you haven't read enough about the low character of Steve Barwick, the man (just his lousy and incompetent managerial skills), here is something that will illustrate his true colors. Mr. Barwick is a member of our local B.P.O.E. - "the Elks Club." Few people know that I too am an Elk. I affiliated with the local Elk's lodge in a community near where I have a summer home. "My" lodge is a gritty, low-key affair where dedicated efforts are put toward veterans programs and combatting the heinous opioid crisis in the US northeast. The Elks are known universally for, among other things including patriotism, their reciprocity in welcoming fellow members to their lodges, so imagine my horror to be FORCIBLY thrown out of our local Aspen Elks lodge where I had joined other visiting members for a drink. I was told by the reluctant lodge manager that "the city manager had banned me for life from that establishment." THIS is Steve Barwick: a weak and impotent man who has coasted in his role as CEO of the city of Aspen, effectively a corporation with a $120 million annual budget, with zero (council) oversight, who flexes his muscle at a local institution known around the world for its non-political, non-sectarian works. (In order to be a member, one must be a citizen, believe in God, and be of good moral character.) Just as he tried to punish a fellow Rotarian for opposing the local government, Barwick attempted to censure The Red Ant, for being a journalist who covers city hall. "Every election is sort of an advance auction sale of stolen goods." As many of you know, the Aspen-Pitkin County Airport (ASE) is likely to be redeveloped in coming years. This enormous project stands to be the largest infrastructure project on the western slope since Glenwood Canyon over 20 years ago. The Vision Committee will serve as the advisory committee focused on holistic project development. The Community Character working group will evaluate and provide input on priority issues related to community values, neighborhood character and quality of life. The Airport Experience working group will evaluate and provide input on how the overall airport experience integrates with the regional community. The Technical working group will evaluate and distill complex technical topics into readily understandable concepts for community-wide discussion. To apply, visit www.asevision.com for more info. Questions? Call 970-309-2165 or email info@asevision.com The deadline for applications is December 7. Again, this is NOT a major time commitment, and your input is vital. Please get involved! The Red Ant had a particularly poor showing on November 6, however, one bright light managed to overshadow many head-scratchers and an abundance of outright idiocy. Mick got whipped. Clobbered. Decimated. In what was seen by many as a fait accompli, Mick's hopes of yet another elected post (this time: County Assessor), government salary and benefits, and power over those he disdains were surprisingly dashed by political newcomer Deb Bamesberger. Endorsed by her boss, outgoing assessor Tom Isaac, Bamesberger had neither the name recognition, mastery of local campaign how-to, nor support of the local political machine, but she prevailed in a not-at-all-close contest, 62%-38%. Congratulations, Deb! As a reader recently wrote, "Hopefully Mick's crushing defeat was a wooden sword through his heart. The margin was surprisingly large, which certainly reflects his unpopularity. Hopefully we finally have him in the rearview mirror." Amen to that. Aspen 2A: To move Aspen's municipal elections from May to March. Look for electioneering to begin in the immediate term; candidates must declare by December 26 and will campaign throughout the winter season for a March 5 election. Also, look for a concerted effort to register transient "seasonal workers" to the voter rolls. Aspen 2B: To enable the city to issue debt for "enterprise funds" without voter approval. Aspen 2C: To enable city council to grant "franchises" without voter approval. Look for an open checkbook for this folly as the city finally gets to play developer again and build an edifice to its own incompetence and largesse. While Option A presented a fixed contract price of $45 million for the completed buildings on Hopkins and Galena Streets which will be developed anyway, Aspen voters went with Option B to build the custom Taj based on unfounded construction cost estimates (no construction bids have been obtained but are guesstimated to be between $42 - $52 million, and this does not include the land cost), the perception that the city was over-paying for the Hopkins/Galena buildings due to dubious appraisals obtained by Steve Barwick, and because they didn't want to "put money in local developer Mark Hunt's pocket." Watch this one spiral out of control. City as developer, again. Like a bad re-run. 1A: To extend and increase the property tax mill levy for Health & Human Services. Look for the county to continue to manage an increasingly large budget ($120 million this year) while crying out for "critical" health and human services needs above and beyond this amount. How about funding these "critical" HHS expenditures as part of the base budget and hitting up taxpayers for discretionary programs when and if money is additionally needed? But that would make too much sense when the entitled Aspen electorate doesn't pay attention, doesn't hold its elected officials accountable, and instead unnecessarily taxes itself. Or us, as is the case! 6A: To raise the property tax mill levy by 1.325 mills to benefit the Aspen Fire Protection District. 7A: To create a 2.65 property tax mill levy and bonding authority for RFTA. Look for RFTA to be back rattling its tin cup in a short matter of time. No way they stay quiet through 2040. This was yet another tax measure sold to local voters as "preparation for future growth." In reality, the new revenue will merely cover a budget problem due to underfunding critical capital replacement needs. RFTA inefficiency will continue, just in nicer buses. 7D: To de-Gallagher Colorado Mountain College (CMC) and enable the elected board to adjust the CMC mill levy upward to maintain revenue levels that will be lost due to implications of the Gallagher amendment. Look for potential abuses now that an elected board can monkey with a constitutionally protected mill levy in the name of "addressing revenue shortfalls." What could possibly go wrong? Amend A: To change the language in the state constitution to clarify that convicted felons are not slaves. Amend V: To lower the age qualification from 25 to 21 for a member of the general assembly. Amend W: To group judges on the ballot by court type. Amend X: To change the definition of "industrial hemp" to align with the federal definition. Amend Y&Z: To develop new processes for congressional and legislative re-districting. Prop 73: To abolish Colorado's flat income tax rate in favor of income tax brackets, dramatically increasing income taxes on corporations and high income earners, ostensibly to benefit schools. Prop 74: To require compensation from the state/local government for laws and regulations that result in the reduction of private property values. Look for more frivolous, self-serving, idealistic government regulations in the absence of accountability and severe financial repercussions. Prop 75: To attempt to "level the playing field" among candidates for office by raising the individual contribution limit when a candidate contributes $1 million or more of his/her own money to the campaign. Look for more wealthy candidates "buying" elections with their own money. Prop 109: To issue $2.5 billion in bonds for transportation infrastructure. Prop 110: To raise Colorado state sales tax to 3.52% and to finance $6 billion in bonds for unidentified state, local and multi-modal transportation projects. Prop 111:To limit interest rates on "payday loans" to 36% per annum. Look for the number of low-income poor-credit borrowers to increase and end up in a financial death-spiral because this new limit will only serve to incentivize both borrowers and lenders to come to longer loan terms for larger loan amounts at this new lower rate. Prop 112: To place greater restrictions on the oil and gas industry in Colorado. Look for more of the same from this career politician who proudly espoused her two greatest accomplishments as a four-term county commissioner as "traveling to New Orleans after Katrina" and arranging for a bear-proof trash can outside of the county courthouse. Can't make it up! There were four measures (above) where Pitkin County voters were in stark contrast to the rest of Colorado, a state known for its fiscal restraint and moderate-to-liberal social views. I highlight these to illustrate just how wildly progressive Aspen and Pitkin County are. Beginning with Amendment V, while the rest of Colorado saw the wisdom of having general assembly members be at least 25 years of age, locally, it was far more popular for younger (21) and even less educated and experienced candidates to qualify. Then there was Prop 73, which sought to abolish Colorado's flat income tax rate in favor of tax brackets, with hearty "escalators" on high income earners. This "soak the rich" measure was VERY popular locally, tangibly illustrating the pervasive class warfare we all know exists here. Prop 110 further drove home the point that local voters are just fine with increasing sales taxes, regardless of the dubious nature of the beneficiary. While much of our sales tax revenue is generated by our tourism economy, this is just more "soak the rich" mentality. Imagine Aspen with a 9.92% sales tax and Snowmass Village at 11.62%?! Local voters don't care - the tourists are the ones who pay it! And Prop 112, which would have placed severe restrictions on the state's thriving oil and gas industry, was heavily favored by local voters. Never mind that this measure would not have improved drilling safety nor environmental impacts, local voters simply saw the evil words "oil and gas" and hit the NO button. 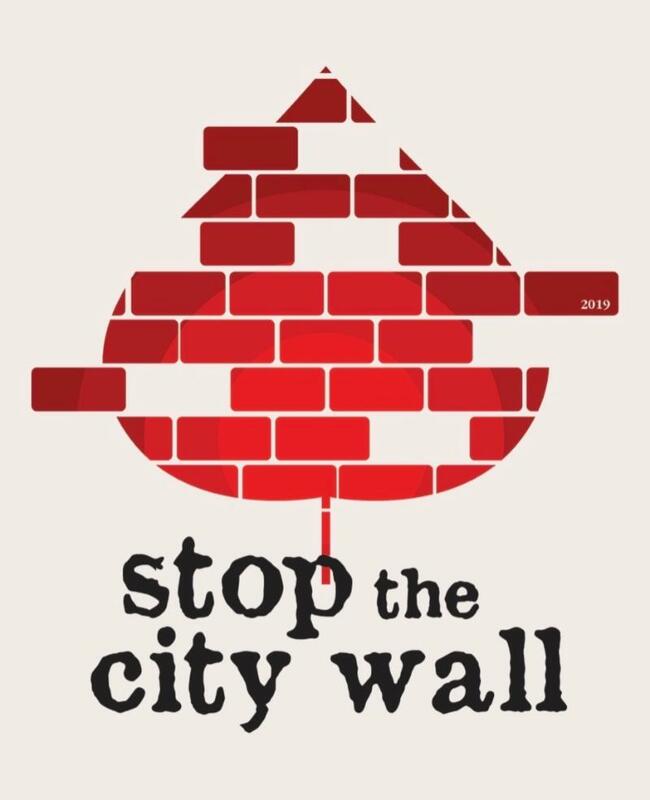 Amidst a cornucopia of nonsense such as a ski season-long campaign season culminating in a March 5 municipal election and a ridiculous 2019 summer-long "war on cars" (a "mobility lab" that is going to inconvenience workers, residents and tourists alike when the city tries out an elaborate bribery experiment to reduce auto traffic into town), we will hopefully be voting to approve Gorsuch Haus and the development of the western portal to Ajax now that plans exist to bring a new Lift 1A down to Dean Street. Stay tuned. And as always, stay in touch!